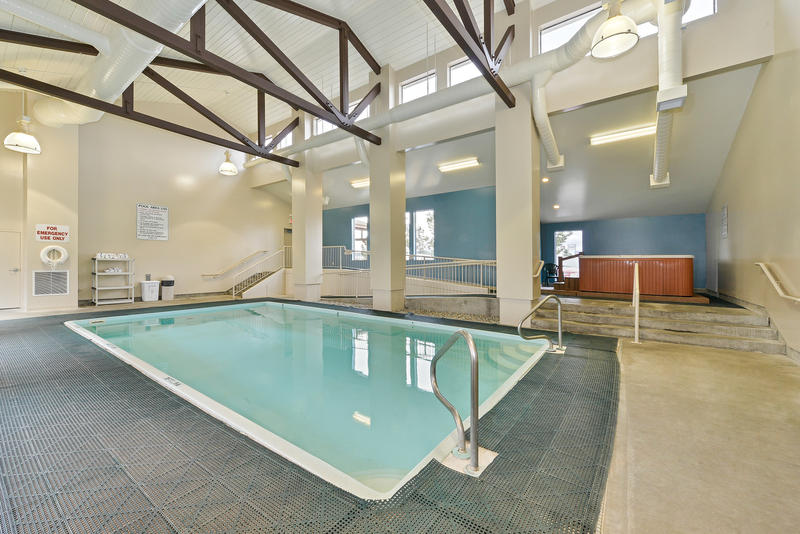 Our Coeur d’Alene hotel features an indoor pool, perfect for relaxing after a day spent exploring the trails along Lake Coeur d'Alene. Our pool area is open 24 hours, so you can drop by at any time of the day or night for a refreshing swim. 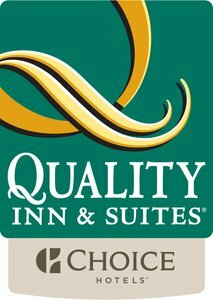 We want you to be able to relax and feel rejuvenated when you stay at the Quality Inn & Suites in Coeur d’Alene. 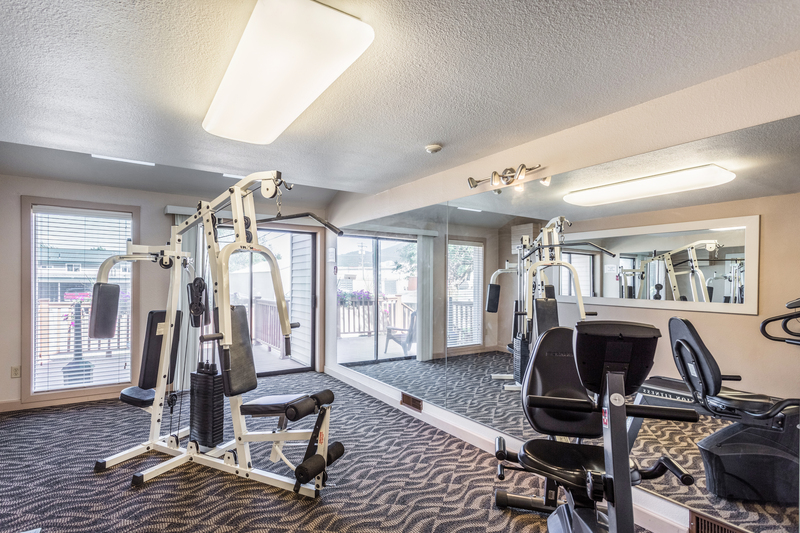 Stay fit during your stay at the Quality Inn & Suites in Coeur d’Alene with our state of the art hotel fitness center. Head down to the fitness center for a run on the treadmill, to use the recumbent bike, or to use the multi-gym machine. Enjoy complimentary water and towels during your workout. 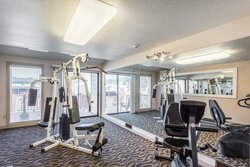 Quality Inn & Suites in Coeur d’Alene’s hotel gym is open daily from 6am until 10pm, so you can stop by morning, afternoon, or night. Stay connected and up to date with all of your business affairs during your stay at the Quality Inn & Suites in Coeur D’Alene, Idaho. Our business center features a desktop computer and printer, and we can assist you with all of your printing or faxing machines at the front desk. The Business Center is open 24 hours a day, 7 days a week, so never worry about missing a deadline or getting behind! Whether you have just spent a day at the waterpark at Silverwood Theme Park, or you are on an extended stay, we have onsite laundry facilities just for you. Get your clothes cleaned and dried so you can rest easy before the big day ahead! We also offer free outdoor parking to all of our guests. Our parking lot has space for buses and trucks, so transportation and parking should never be an issue when you stay at the Quality Inn & Suites Coeur D’Alene. 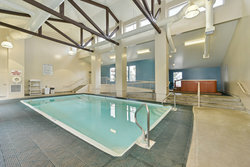 Take a dip in our beautiful indoor pool during your stay at the Quality Inn & Suites Coeur D’Alene. Our pool is open 24 hours a day, 7 days a week, so you can drop by anytime! Stay fit at the Quality Inn & Suites Coeur D’Alene’s onsite fitness center featuring a treadmill, a recumbent bike, and a multi-gym. The Fitness Center is open daily from 6am until 10pm, making it a great way to start or end your day!